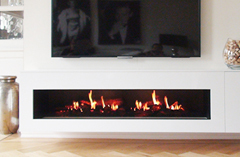 Electric fireplaces are ideal for space and budget limitations. 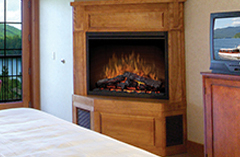 They don’t require installation and therefore, don't require a contractor. 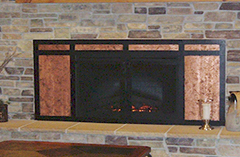 Simply plug your electric fireplace in, flip the switch and enjoy the warmth and glow. 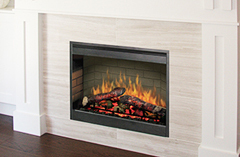 An electric fireplace consumes minimal energy and is easy to operate—you can even have flames without heat, perfect for our mild Texas winters.